How many waypoints would it take? 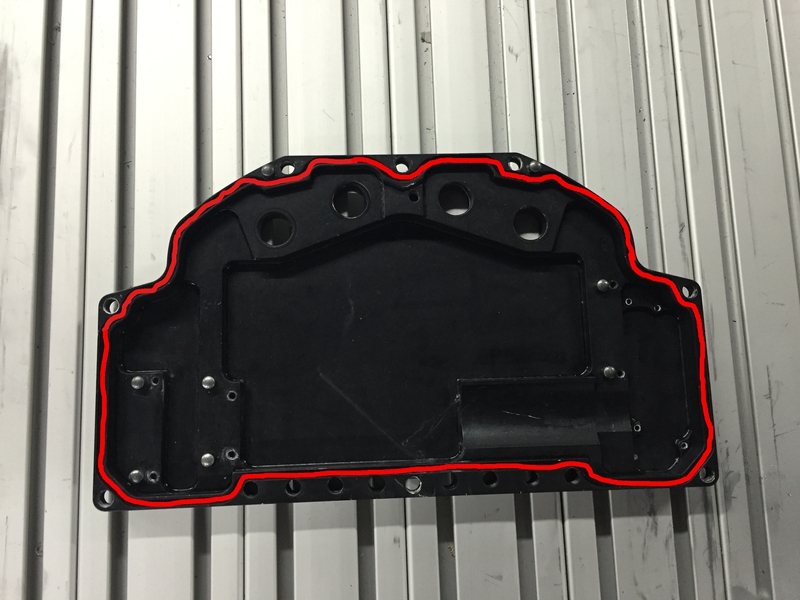 We wanted to get your input on how you would apply a sealing material to the part below with a Universal Robots (following the red line). How many waypoints do you think it would take? 80-110, the more straight lines area, the fewer waypoints. I agree with @BeachChE , 80-110 is a good guess. Since there are around 30 arcs and each arc requires 3 waypoints, I would say around 90. @Olivier_Grenier my estimated guess would be 80. You're going to need moveP's (will move the tool linearly with constant speed with circular blends, and is intended for some process operations, like gluing or dispensing), some Circle Moves nested in those moveP's, and a couple moveL's for those straight lines. Almost as simple as it sounds! Some of you might wonder what @Ryan_Weaver meant by the FT sensor path generation...you can now click here to have a look at the video demonstration. Our answer: No more waypoints! I found this proof of concept video from Cross Automation on Youtube. This is a typical example of where path recording is a must! @Andrew_Mason any chance you still have the program for this such that we can see how many points it took? Could you try it out with the path recording? I am using robot for spray painting application. I want the robot to follow straight line path at a constant tcp speed. Movep gives constant speed but i dont know if i can use for straight line application as it popups an error "Runtime error:“CIRCULAR_ARC_WITH_ZERO_RADIUS"". Can it be used only with circular motions or is there a way to achieve straight line motion with constant tool speed?